Heat your oven to 325 degrees and grease 12 muffin cups. Melt butter and lightly brush one side of a wonton wrapper with it. Dip the buttery side into some brown sugar and press it down into each muffin cup. Then, bake until lightly browned, about 7 minutes. 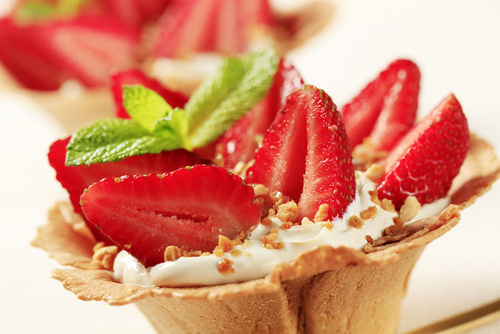 Add any type of fruit to whipped cream and place it into cooled wonton wrappers. So, there you have it! Some of the best fruit desserts you can make right now with little effort. Do you have any other easy fruit dessert recipes? Share them with us please.